No ladders – helping you feel more relaxed. Firstly, pure water has more capacity to absorb dirt particles than impure water. 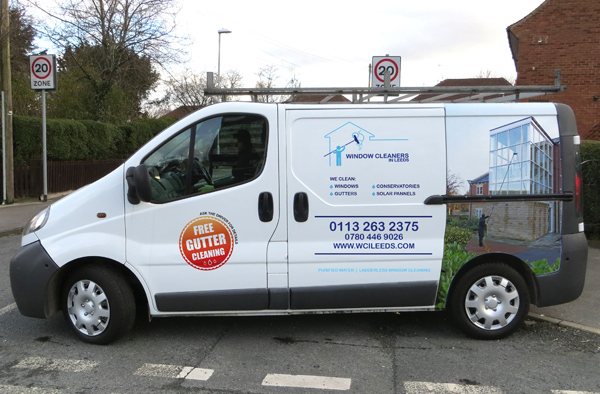 Second, because of the strength of pure water you don’t need to use nasty chemicals on the windows to keep them in the lovely clean state we leave them in – this saves money and time. Our process is much more environmentally friendly. Lastly, it leaves a beautiful streak free finish, because we only need to rinse the glass, and don’t have to squeegee the windows. For most people though, the benefit of a waterfed pole system is privacy and security. We know that no matter who the window cleaner is, it simply doesn’t feel nice having somebody able to look through your upstairs window. There’s no need to worry about being caught out in a compromising position, whilst one of our workers sees more than they wanted to, because our workers carry out the job quickly and effectively without having to scale any ladders at all. Your privacy, security and your time is important to us, and we know that this will be the best system for you. Blocked gutters can cause damage to your property if not kept clear. If water and moss builds up it could enter the property and cause thousands of pounds worth of damage. 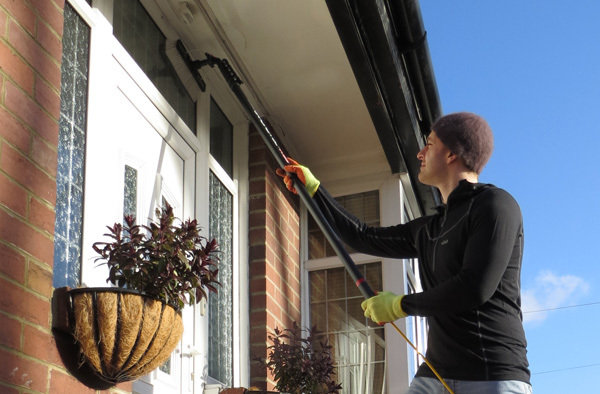 Our vacuum for cleaning blocked gutters is industrial and can reach up to 40 feet. With no need for ladders, our skilled operator can work safely from the ground. 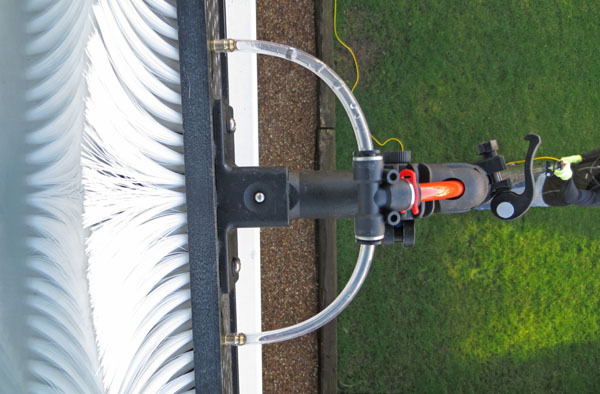 To ensure perfect, accurate results, our operators use a a camera which fits onto the end of the light aluminum pole – enabling the operator to see and clear your gutters. Keep checking the website for new offers coming soon!